"The Best Sellers". Five of the current best selling weapons legally bought over the counter with a driving license in the USA on the 19th February 2013 in Miami, Florida. 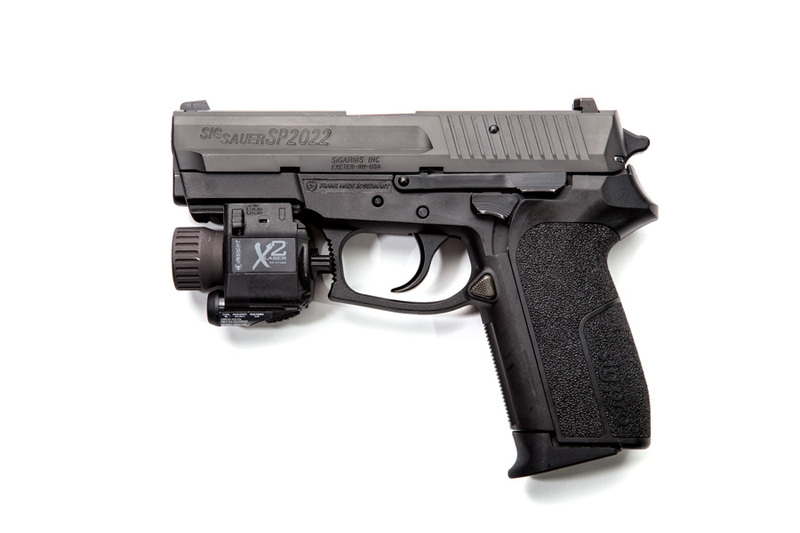 .40 Sig Sauer SP2022 with Insight X2 light / laser.